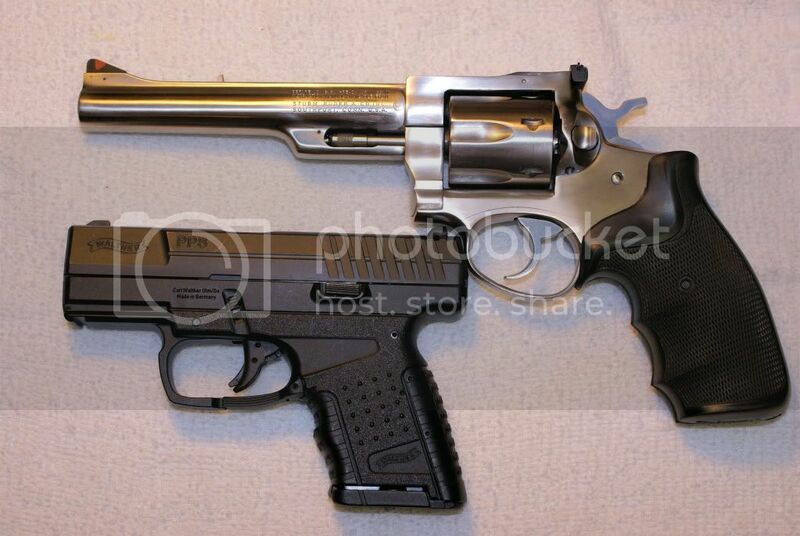 A “Beauty and the Beast” revolver in bright stainless steel and twice as big as of any of my other guns A friend of mine loaned it to me with a “Here, try this one out” kind of comment. It didn’t take me 24 hours before I was shooting it. 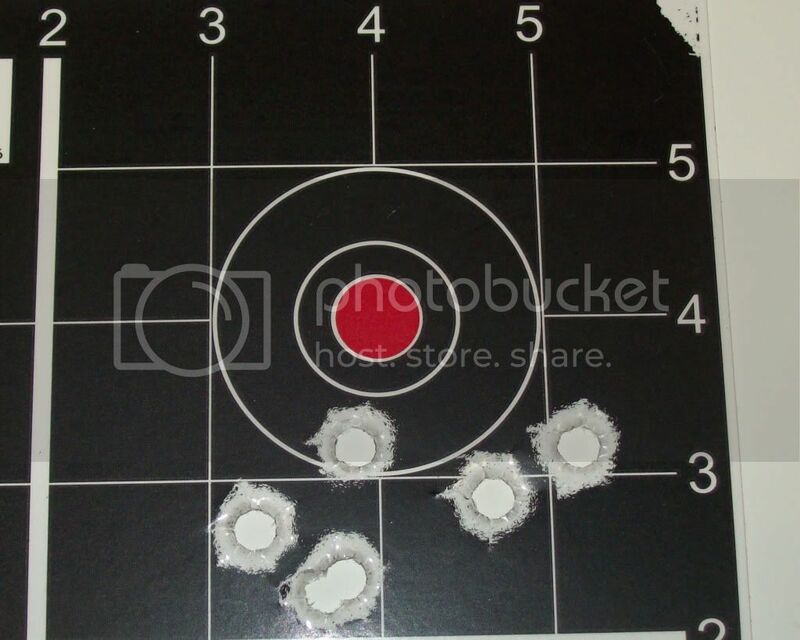 I was advised by another friend to shoot .38 Special ammo through it first to get used to the feel, then move to .357 Magnum. I admit to anticipating some serious recoil from this massive pistol. History: Introduced in 1968, the Security Six was the original model of the new series that later became “Service-Six”. This gun has Iron sight and chambered for the .357 Magnum cartridge which also allowed for the firing of the .357's predecessor, the shorter .38 Special. Gun barrel lengths available on the Security Six included 2.75, 4, and 6 inches. 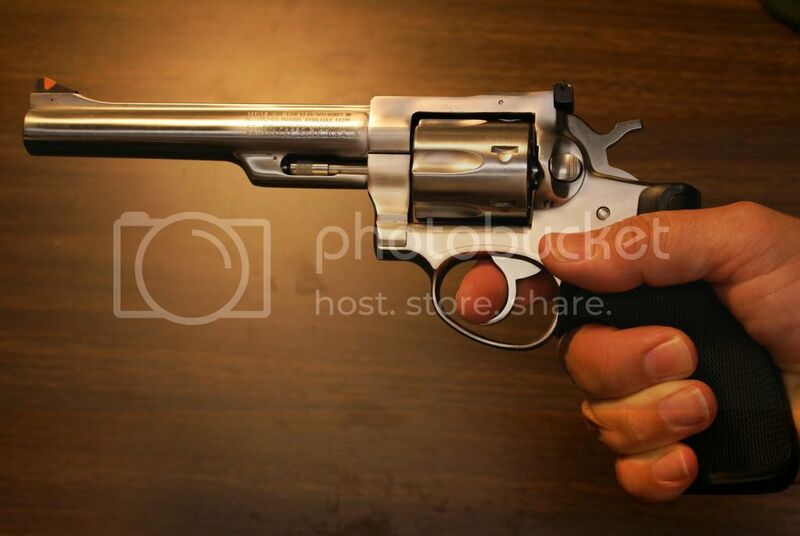 Medium-framed in size, these revolvers were initially manufactured in a blued carbon steel finish (Model 117) and ,in 1975, stainless steel versions of all models were added to the lineup (Model 717). While Ruger’s Security Six line has been out of production since 1988, a total of over 1.5 million pistols were produced and they remain well-liked and respected, as well as highly sought after in the second-hand market. They can be found on auction sites for around $500. Disassembly: I didn’t break the handle apart, so there was no real disassembly. I did look the gun over, though. The Security Six series was one of the first modern revolver designs to feature the safer transfer-bar based lockwork. The hammer has a dimple in it to prevent it from hitting the firing pin. 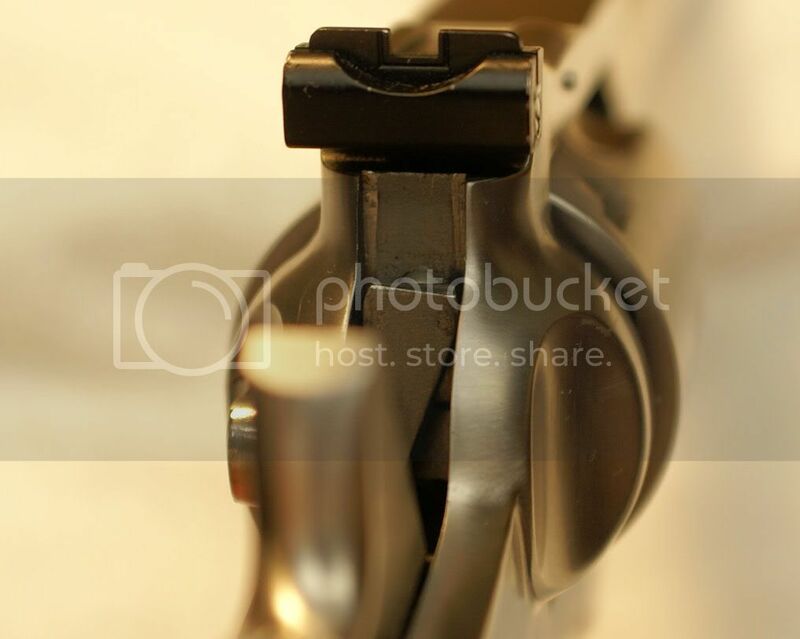 As the trigger is pulled, or the hammer is pulled back, a metal plate moves up over the firing pin. 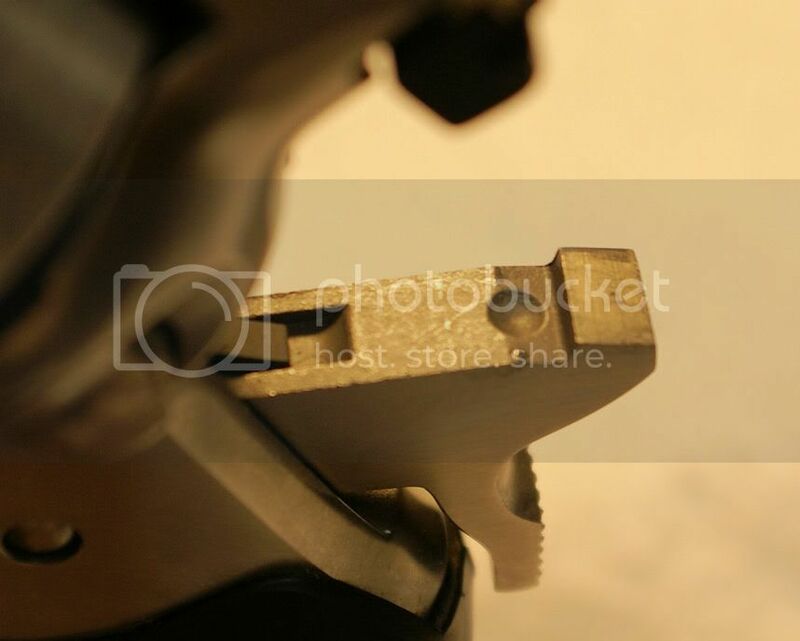 The hammer will strike the metal plate and the transfer is made against the firing pin. 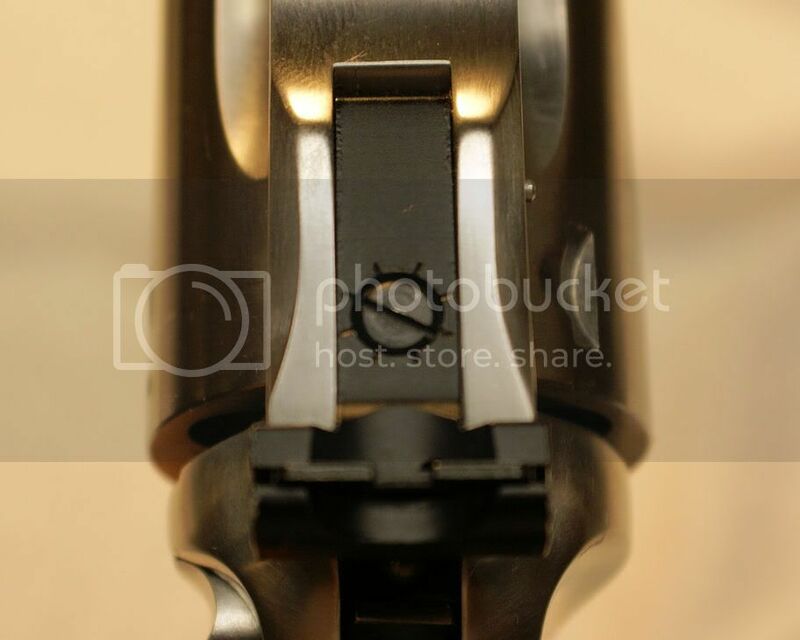 If the trigger is not fully pulled to the rear, the metal plate will drop out of the way and the hammer will not strike the pin. Shooting: Like a dream. The recoil I had anticipated was never there and the massive size of the gun was not an issue. I expected a dual-action trigger-pull to be difficult to keep on target, but it wasn't. Every trigger-pull was smooth and steady with a quick break. The “Pachmayr Gripper” grip was very comfortable as well. 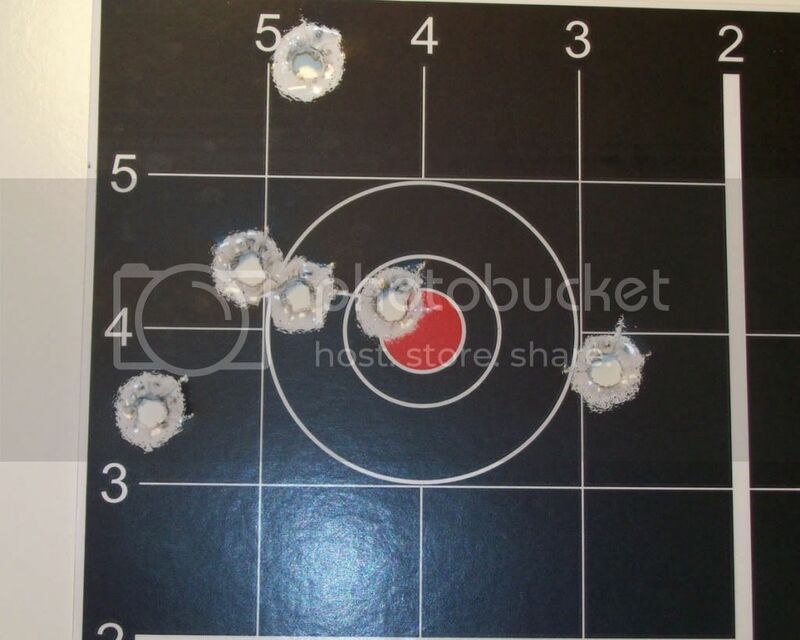 I did shoot .38 Special at first and got surprising results at 25 feet. I shot both Double-Action and Single-Action with both groupings being very satisfactory. 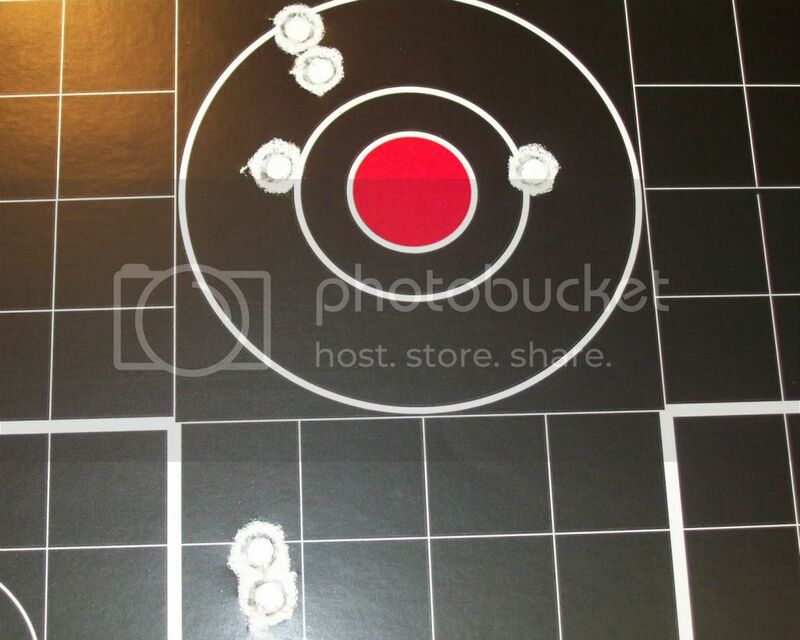 I even moved it back to 50 feet and shot Single-Action to some pretty good groups. 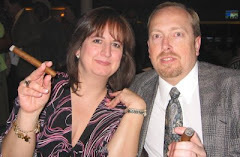 Sharon shot it as well and commented that she was better with the .357 Mag ammo then the .38 Special. 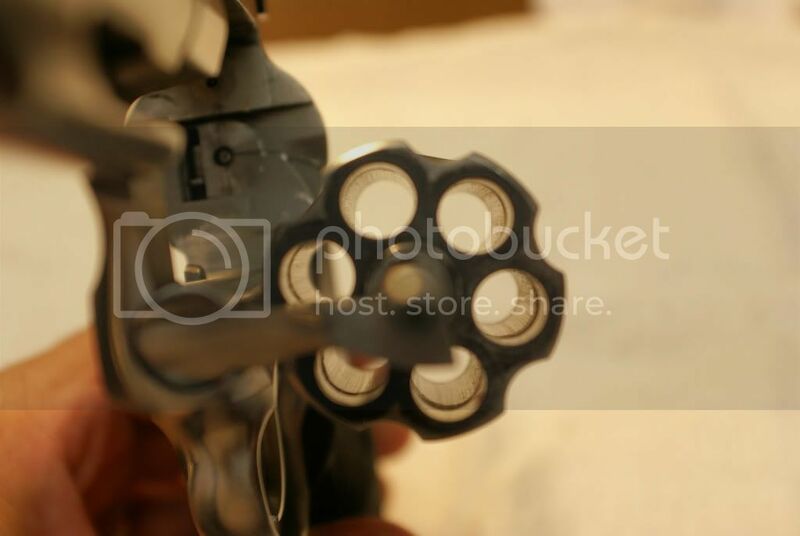 The bad: There was nothing bad about this revolver. Of course you would have a tough time concealing this monster even if you tried. The worst part of this gun is having 7 barrels (the main and the 6 in the wheel) to clean compared to only the 1 in a semi-auto. Summary: FUN. It is massive, shiny, accurate, comfortable and completely different from what I usually deal with. I have owned one like since I bought it new in 1977. I have found it to be the most stable, easy shooting pistol I own or have used. I used to use it for hunting and have brought down small game and one year even a white-tail.